The next era was the Regency. For this challenge we were to gold emboss on vellum, then rub a dark colored ink over it. I'm not sure that I love the results I got, maybe because this is so far outside my norm, but it was fun to try. 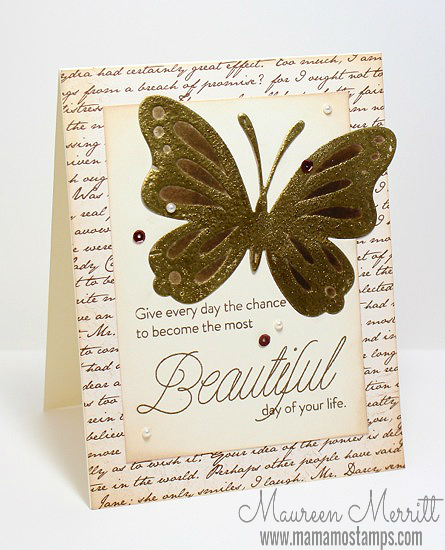 I really love the card Kristie made for this challenge, it's actually my favorite card that she made all weekend! Beautiful card Maureen. love the big butterfly!